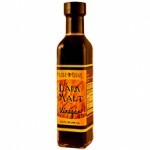 Slide Ridge is a family-owned and operated beekeeping enterprise located in Northern Utah. We not only tend bees, we produce Utah wildflower honey so we can sell 100 percent pure, raw Utah honey, and we created a totally unique sweet, all-natural Honey Wine Vinegar. 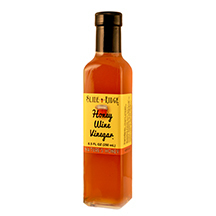 For a sweet addition to dressings, marinades and glazes, try our totally unique Honey Wine Vinegar. It’s guaranteed to make you smile. We start with pure, raw honey and add either water or fresh-pressed apple cider to create wine. 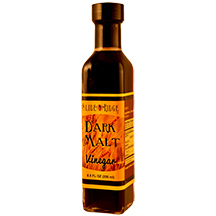 After the wine has aged, we use “mother” to convert it to vinegar. 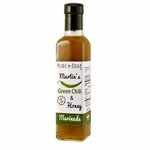 The entire process takes two years from beehive to bottle. 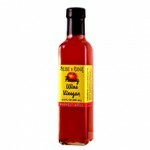 Find our Honey Wine Vinegar at Utah grocers and sweeten your favorite dish. 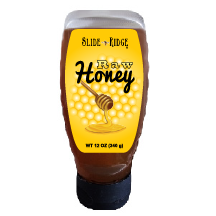 Slide Ridge Honey is a family-owned and operated beekeeping and honey business located below Slide Ridge in the beautiful Cache Valley of Northern Utah. We love working with the bees and with each other. We maintain thousands of beehives throughout the Northern Utah mountains. On top of that, mom still fixes us lunch every day at the Honey House. The family feel and natural products are the reasons we love our work. The beautiful, golden color of our product comes the highest quality raw wildflower honey, and each batch is a unique as the hive it comes from. We use no preservatives and no artificial colors or flavors so you get an all-natural honey taste. 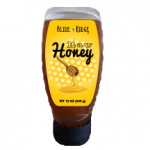 This entry was posted in Food and tagged Food, Honey on July 16, 2018 .